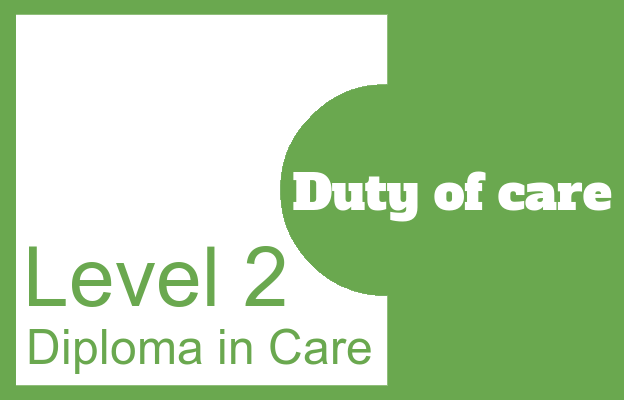 The Duty of Care unit is one of the smaller units on the Level 2 Diploma in care. It explores what duty of care is and how it relates to your job role as well as looking at how to deal with dilemmas and complaints. NOTE: All of these assessment criteria are identical or very similar to assessment criteria in the Care Certificate, so to avoid duplication, the links go to pages in this section.